We did some painting the other day (specifically, we painted a WHITE BOARD WALL in our home!!! Drawing on the walls, y'all! ), and of course, Gertie had to explore the altered surroundings. 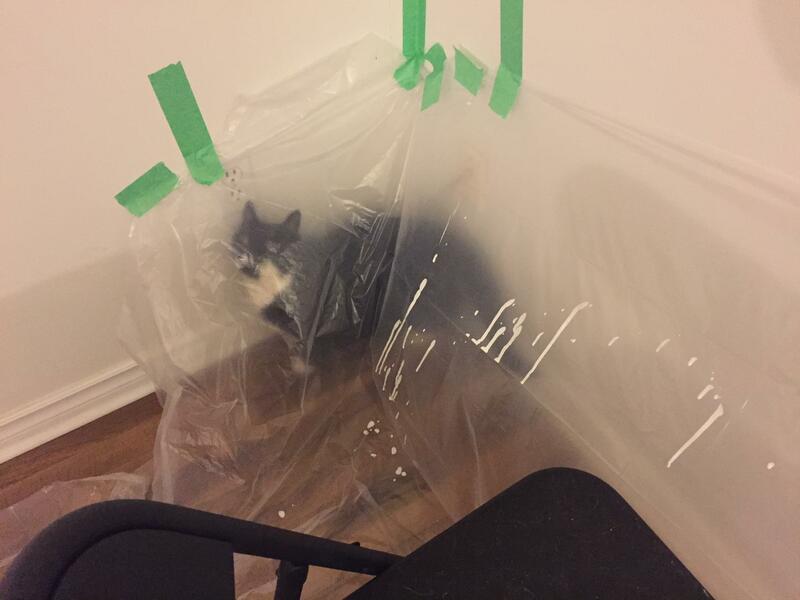 Luckily, she did not knock over any paint. She did, however, get temporarily trapped under the drop sheet. Cat Cafe work is tough. This polar bear in an ice bath reminds me of a cat trying to get up in her catnip. A golden retriever and a little tiny bunny! BFFs! This dog is actually just mind-blowing. The partnered headstand may be the sweetest thing I've seen.